Diamond CBD Reviews: Is Diamond CBD Legit? These days, there are more CBD companies on the market than ever before. How can you tell the difference between one and the next? Over its history, Diamond CBD has definitely made a name for itself with product range, quality, and consistency. Out of the many options flooding onto dispensary shelves, Diamond CBD is one to look out for. 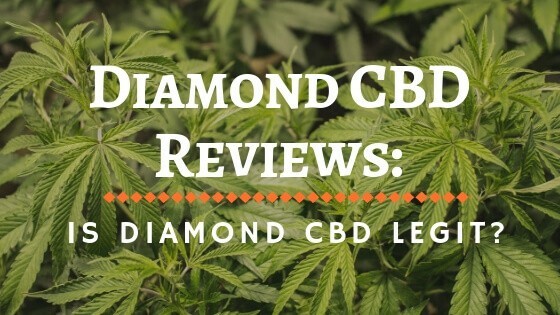 Keep reading for our Diamond CBD reviews. What Makes Diamond CBD Stand Out From the Pack? CBD oil companies are by now, a dime a dozen. Every day there are new companies, slapping labels on poorly sourced bottles of CBD oil, and selling it online. But Diamond CBD stands out from the pack because they have invested in quality, and care about their customer's health. Unlike the other brands, hawking fake CBD which has made people sick, Diamond CBD sources non-GMO, organic hemp for the basis of all its products. If you've read any other Diamond CBD reviews, then you already know this, though. Each product goes through rigorous lab-testing to guarantee its integrity. If you purchase Diamond CBD, you can rest easy knowing that all-natural CBD oil is going in your body and not some poor imitation. Are Diamond CBD Products Sourced From Marijuana? Two plants produce cannabidiol (CBD), marijuana and hemp. Marijuana, valuable in its own right as a medicinal plant, also tends to contain high levels of THC. THC is the infamous cannabinoid renowned for its psychoactive effects. Hemp, grown for industrial applications (fibers, oils, etc.) and as a foodstuff (hemp seeds, oils, etc. ), contains under 0.3 percent THC. Diamond CBD only sources CBD from hemp plants, meaning there are only minuscule levels of THC, and never enough to trigger any stoned effect. Because of their hemp-origins, all Diamond CBD products and legal, and safe to use. But are their Products Full Spectrum? Often times you’ll see hemp-proponents toting the benefits of full-spectrum hemp extracts. Full spectrum refers to the type of processing. When the whole plant is processed, the hemp oil contains a full-spectrum of cannabinoids and other beneficial compounds like terpenes. Although poorly understood, there is a synergistic effect between all these natural chemicals. When you consume a full spectrum CBD oil, you receive added benefit from this interrelationship between the compounds. Diamond CBD also carries some isolated CBD products. Isolates are 99 percent pure CBD and are beneficial in their own right for their increased potency. Whether you want to benefit from the full-spectrum, whole plant extraction, or the potency of isolates, Diamond CBD has carefully crafted a product catering to your needs. Where Does Diamond CBD Hemp Come From? Part of the reason why Diamond CBD’s quality quickly surpasses many of the others on the market today is due to their careful hemp plant selection. All hemp comes from farms in Colorado, Scandinavia, and Kentucky. And, all their hemp, which is the base ingredient for their products, comes from non-GMO organically-grown plants. Each plant is manually selected, no giant commercial harvesters here! In their own words they ‘gently’ harvest and carefully dry the hemp, before processing into their full line up of products. Where are the Diamond CBD Products Produced? Because everyone wants to get into the CBD game these days, the average quality of the CBD has gone down. Many products are now made in China, and imported, often illicitly. Diamond CBD, as mentioned, sources hemp from consistently reliable sources in Colorado and Scandinavia. All their products are then produced here in the US. And even if you still question the quality of their products, you can safely rely on their third party lab-testing. These tests are designed to catch any contaminations, from production or otherwise. The most traditional method of taking CBD is as a tincture. Cannabidiol tinctures are usually taken straight, absorbed sublingually, or mixed into an edible or drink to mask the flavor. Diamond CBD has one of the most inclusive lines of CBD tinctures available, covering everything from CBD isolate oils to whole-plant, full-spectrum oils. If you dislike the taste of the original, unadulterated flavor of CBD, they have many flavored options. Cotton candy, watermelon, peppermint and more, make the dosing experience more pleasant for those who need it. If you are looking for something a little extra special, Diamond CBD also carries Chong’s Choice, a line of Tommy Chong branded products. Diamond CBD also carries a wide range of potencies, from the standard 25 mg per bottle of Diamond CBD Full Spectrum MCT Oil to 1500 mg within the Daily Boost CBD Oil. What About Diamond CBD Vape Products? Not everyone wants to take their CBD orally, the taste and experience aren’t what they enjoy. Sublingual tinctures are notoriously slow in their onset, and sometimes people need a quick hit to target their symptoms quickly. For these folks, Diamond CBD has designed a large collection of vape oils all containing high levels of quality hemp derived CBD. The majority of the products are CBD vape juice additives, for those who prefer to control the vaping experience from start to finish. They also go great in CBD vape pens. These vape additives come in a wide variety of flavors, watermelon, strawberry, jungle juice, and more. Thankfully, if you want a vaping experience a bit more hands-off (and mess-free), they also have a line of pre-filled cartridges and disposable vape pens. For anyone worried about the ingredients of their vape products, Diamond CBD only uses USP grade Vegetable Glycerin. Are Diamond CBD Edibles Worth it? Another popular method of taking CBD is as an edible product. Technically you can mix any of the CBD oils in their line up into your own foodstuffs, but often it’s much easier to purchase predosed, and pre-made goods. Plus, Diamond CBD edibles are likely much more delicious than anything you could make at home. Diamond CBD has three types of CBD edibles, all sweet and sugary concoctions packed full of full spectrum CBD. They have a broad line up of CBD gummies, from your childhood favorite gummy worms to gummy watermelon slices to the more traditional gummy bears. Each piece contains a very specific, and easy to measure dose of CBD, so you know exactly how much you are taking. They also have many honey-based products, including a full pot of infused honey and pre-dosed honey sticks. Finally, they have a very innovative line up of CBD Cake Pops in a variety of flavors. If you tend to need CBD throughout the day, this format makes it exceptionally simple to tuck into your purse or in a pocket. While you may be familiar with CBD oils, vape products, and edibles, did you know you can also drink your medicine? With a well-designed, travel-friendly, design, the line up of Diamond CBD infused drinks make traveling with a quick dose discreet. Although these shots look much like the 24-hour energy drinks found at gas stations around the world, their Diamond CBD Shots advertise four to six hours of relaxation. It's a much different, and presumably healthier experience. Each shot contains 20 mg of CBD, which is a perfect dose for managing stress and inducing a soft state of relaxation. Unlike some other formats, it's much more convenient and mess-free. For those suffering from chronic illness, who need high doses of CBD to feel the effects, Diamond CBD now carries a line up of 99 percent pure CBD crystal products. While these products may not be for everyone, they carry a potent punch for people who need immediate and effective relief of their symptoms. Some people may be put off by the crystal format, because of their appearance. But these CBD crystals are nothing to fear and are not dangerous. They are sourced from the exact same plants like all the other CBD products in the Diamond CBD line up. However, after a series of refinements, these CBD dabs are much purer than other formats. They measure 99 percent pure CBD, unheard of in a tincture or vape product. You can dab (vape) the Diamond CBD Crystal Crumble, or mix it into a drink or meal. Although hemp-sourced CBD is completely safe to use, because of its lack of psychoactivity, some people still hesitate. For anyone nervous about ingesting or vaping CBD, they might consider trying a CBD topical. Infused with all-natural CBD hemp oil. Diamond CBD carries four different CBD creams, with increasing levels of CBD, designed to target sore muscles and aching joints. Topicals, like these Biotech Diamond CBD creams, are often the preferred way to use CBD. Athletes, seniors, and others are all using CBD topicals to help with lingering pain. Diamond CBD creams, in particular, contain other beneficial ingredients, like menthol, which also boost its ability to reduce the sensation of pain. Cannabidiol is so safe that now CBD products are making their way into the pet industry. Just like humans can benefit from the soothing, pain relieving qualities of CBD, so too can our pets. Diamond CBD carries products for both dogs and cats, designed to make it easy to dose, even for the pickiest eaters. The Diamond CBD Pet drops, for dogs and cats, can be sprinkled on top of their bowl of food. Or, if your furry friend is especially tricky to dose, they also carry a handful of treats, all packed full of natural hemp-based CBD. So the next time your dog or cat needs soothing, whether for anxiety or for pain associated with inflammation, why not turn to an all-natural remedy like Diamond CBD for Pets? What Are Some Diamond CBD Products to Try? A quick browse through the diversity of products developed by Diamond CBD, and it's clear they are dedicated to researching new, innovative production techniques and methods of ingestion. They carry novel products, not seen by anyone else in the industry. Here are a few especially exciting products, which come highly recommended. The first is one of the most potent CBD infusions on the market, Diamond CBD Crystal Dabs containing 10,000MG. In their own words, Diamond CBD declares, “so powerful with CBD effects that… a little dab'll do ya’!" The second product is the line of Lawrence Taylor Pain Master products, including oral drops and a topical. These are products designed for athletes, and those suffering from chronic muscle and joint issues. But is Diamond CBD Oil Legal? Yes, Diamond CBD products are legal in all 50 states. According to the Farm Bill of 2014, hemp-based products are legal across the country, so long as they follow specific protocols. This means, that all Diamond CBD’s products are legal to produce, sell, and consume all across the country. Importantly, there is a difference between hemp-based products (like those of Diamond CBD) and marijuana-based CBD products. Marijuana, classified as containing more than 0.3 percent THC, is still illegal according to the federal government. Hemp, on the other hand, must legally contain under 0.3 percent THC and is therefore regulated by the Food and Drug Administration and not the Drug Enforcement Agency. Where Can You Buy Diamond CBD Oil? From Alabama to Alaska, from South Carolina to North Dakota, if you live within the continental USA, you can buy Diamond CBD products online. 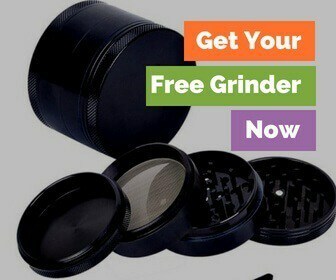 They also sell their products wholesale, which means depending on where you live, you may be able to access their oils, vape juices, and more in person. But with the easy access through the Diamond CBD online shop, heading out in search of Diamond CBD products isn’t necessary. Especially with their shipping policy, which is free for orders over $100, their friendly customer service and easy return policy. Yes, time and time again, the research supports the safety profile of CBD. Any side effects, when they do occur in rare circumstances, are mild. These include tiredness, diarrhea, and changes in appetite/weight. In many preliminary studies of CBD, high doses of CBD (over 1000mg per dose) are well tolerated by most people. Cannabidiol is so well tolerated, that the FDA has recently approved it for the treatment of intractable forms of epilepsy in children. Does Diamond CBD Make You High? The compound responsible for the high of marijuana, the infamous THC, is not present in any Diamond CBD products. All Diamond CBD comes from hemp-based sources, which as we’ve seen must legally contain microscopic levels of THC. Diamond CBD products, just like all other hemp-based products, are non-psychoactive, even if you vape it, dab it, or eat it. These levels are so low that even large doses of CBD will not trigger a high or any noticeable sensation of being stoned. Because of this non-psychoactive property, CBD is safe to use across all demographics. Will Diamond CBD Trigger a Positive Drug Test? Unless you are an unwitting participant in a new type of drug test, even high doses of hemp-based CBD will not trigger a positive result on a drug test. What most employers are looking for is the use of THC. Therefore, tests are designed to look for THC and its various metabolites. Because hemp-based products legally contain less than 0.3 percent THC, a 1000mg dose of Diamond CBD contains less than 3 mg of THC. This is likely not enough to trigger even the most sensitive test. Keep in mind, however, that times are changing, and new drug tests are under development all the time. There is also some discussion that CBD may trigger a false-positive, but this theory is also unconfirmed outside of discussion boards. What is Diamond CBD’s Shipping Policy? How often have you filled your online shopping cart only to regret your decision once you see the shipping charges? Diamond CBD has taken this dilemma into account, but only slightly. If you purchase over $100 worth of CBD products from Diamond CBD, you automatically get free shipping to anywhere within America. A lot of Diamond CBD reviews leave don't call them out on it, but we would like to see free shipping at a lower level. With their current policy, you will have to stock up on CBD gummies, oils and vape products, and save on shipping. Plus, orders are sent via UPS and should arrive two to five business days after processing. They all come with a tracking number, for your assurance. What is Diamond CBD’s Return Policy? What happens if you change your mind on your CBD order? Or what if it was damaged during shipping? If you receive your order and haven’t used it, they accept returns within 15 days of purchase except for vaping products. Vaping products are all final sale, so keep this in mind if you purchase any vaping products. All returns are inspected on arrival, and once confirmed it is unopened, they will issue a refund. If you have any questions, feel free to speak with their helpful team of customer service agents, also read up on their full policy. They are one of the best CBD companies there is. The only thing that we can criticize is their shipping policy. We'd like to see free shipping available for lower cart values, but at the end of the day they have to do what makes the most sense for their business. Have you tried Diamond CBD? Tell us what you thought about them in the comments below!